The social business era is here. Companies are increasingly seeing the benefit and need to approach social media activities with integrated external and internal efforts. Professionals can no longer rely on point solutions and isolated activities -- no brand, department, or employee is an island in the social landscape. 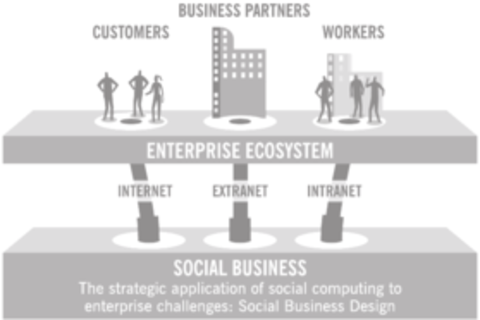 A circumspect approach to social business adheres to a framework with ten key tenets, amalgamated from thousands of examples in action by B2B, B2C, and B2B2C companies; enterprise and SMB firms; and firms including highly regulated, high tech, and high touch industries. Today, firms can learn from the lessons of early experimenters and craft a solid plan for success that includes formulating a winning strategy, applying appropriate game-time tactics, and measuring for meaningful return on investment. Peter is an advisor on social business and marketing strategy. He co-authored the book Social Business By Design and drives global industry discourse at beingpeterkim.com and as @peterkim on Twitter. Peter has been quoted by media outlets including CNBC, CNN, NPR, and The Wall Street Journal and featured as a speaker at events including SXSW, Web 2.0 Expo, and Enterprise 2.0. He was previously Chief Strategy Officer at Dachis Group, an analyst at Forrester Research, and head of international marketing operations, e-commerce, and digital marketing at PUMA AG. Peter holds degrees from the Darden School at the University of Virginia and the University of Pennsylvania.